Zara parka, t-shirt and pants. Carolina Herrera ballerinas. Longchamp bag. you look so adorable =) thanks for following! following you back. I replied to the message you left me in my blog, but wanted to tell you that I checked your entire blog and it's WONDERFUL!!!! I love that you love scarves like I do, and I LOVED seeing the streets of Lisboa...one of my favorite cities!!! I love your smile! It makes me smile too! Such a great outfit! I love the striped top and your mustard yellow flats! Finally the sun!! i love your coat and your necklace!! Woderful pictures - full of life!!!! now I will follow you!! amazing!! Love the striped tee!! I hope you'll visit my blog! QUE fotos mas chulas!! estas muy guapa ! your smile is contagious.you look great. funny pics!! you're so nice! follow each other?? Cute photos! I really like your top! Perfect casual outfit! Your accesories are really amazing! Love your jacket! 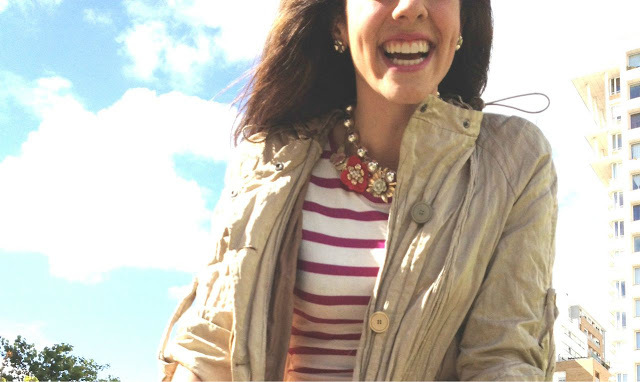 I love your jacket & your necklace is amazing! Love how you mixed the brights and the neutrals!! I especially love the floral handbag. Wow!!!!! you look great!! 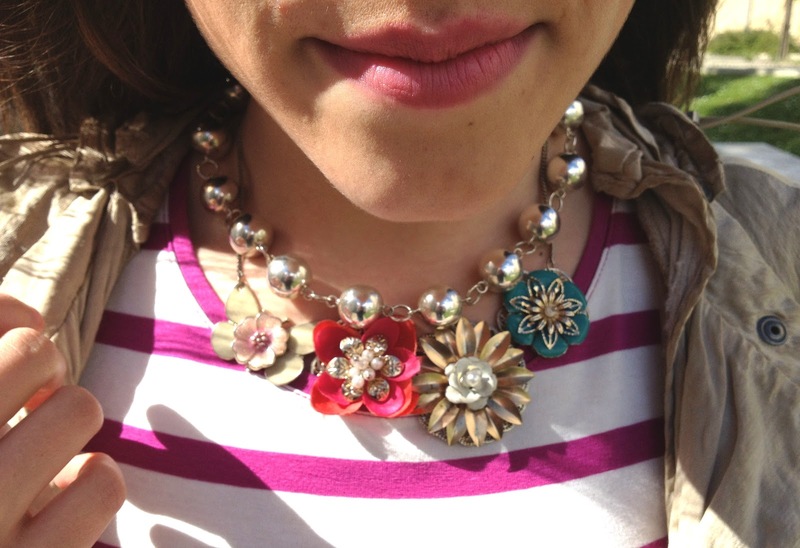 Love your necklace!! lovely photos I like you are always smiling!! You look stunning, love your outfit, especially the necklace. I like the top but you're hiding it! it was cold and super windy..:$ it's the weather fault!! so effortless. im loving your neckpieces! !